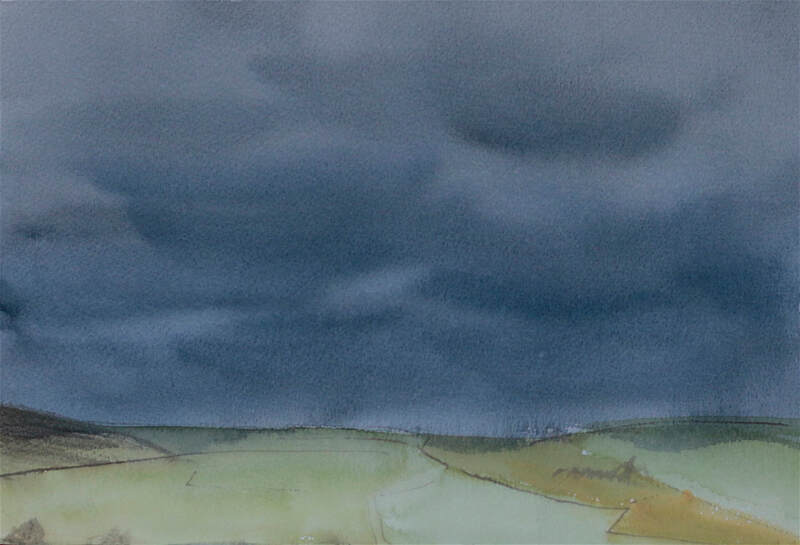 Watercolour is a fabulous medium for capturing the translucence and ever-changing nature of the sky. Here I worked quickly en plein air using lots of colour on to damp paper. The painting has that feeling of heavy, laden winter skies threatening a sudden downpour.